Atlantic General Hospital serves the Greater Ocean City, MD area. Situated between two much larger hospital systems makes it critical to project an image of quality. Among the hospital’s particular strengths is the high quality of care provided by ten AGH “centers of care” covering specialties such as orthopedics, oncology, bariatric medicine, women’s health and others. 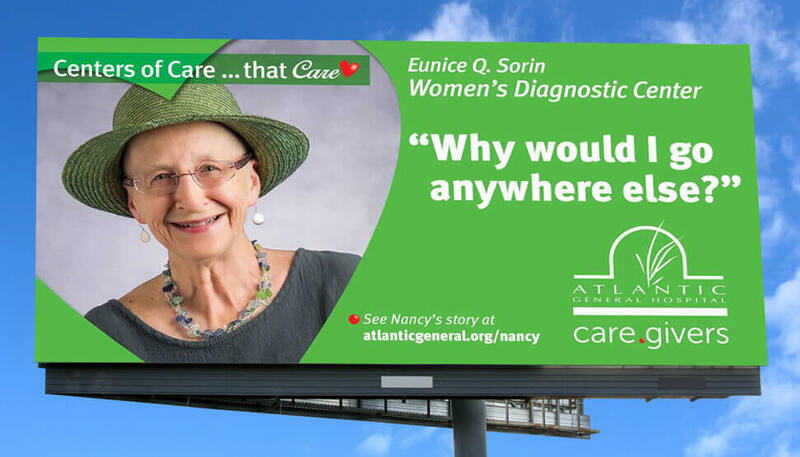 To publicize these health specialties, we developed the Centers of Care … that Care integrated communications campaign. 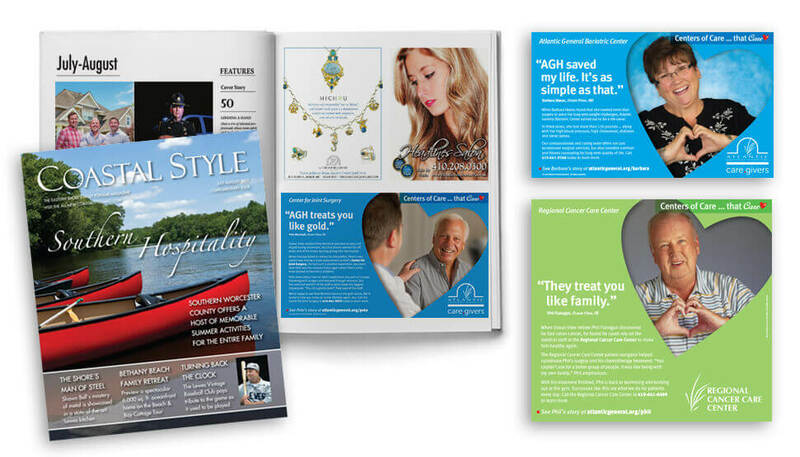 Actual hospital patients and their inspiring stories were collected and featured, personalizing the message and underscoring the ability for patients to receive specialized treatment without having to travel far from home. Promotional vehicles for this campaign included outdoor billboard advertising, online advertising, TV/cable and radio advertising, print ads in local newspapers and lifestyle magazines, plus dedicated web pages.